Very excellent product. Also, my main reason for writing this review is to really praise Overstock and their magnificent service whenever I have needed help or been unhappy with a product. They have always answered promptly and have solved the problem with speed and they have been totally reasonable. Way to go Overstock!! 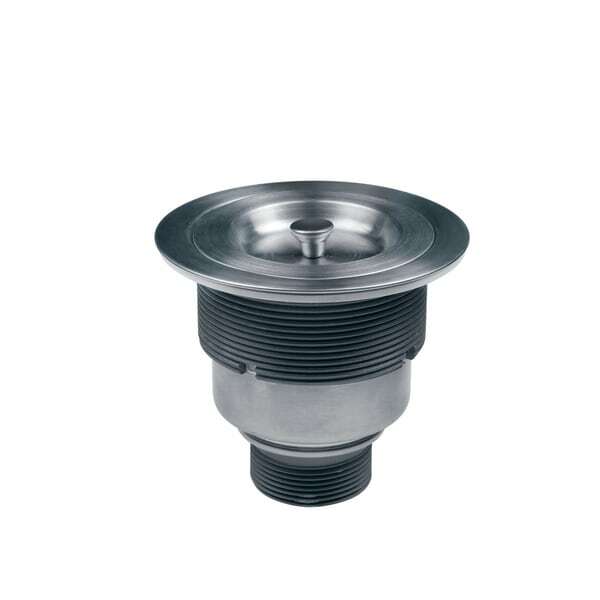 This stainless steel, kitchen sink basket strainer features deep removable basket traps and a waste/ push-in stopper cap with rubber gasket. This piece fits a standard 3.5 inch drain opening.